1. What is the definition of a comparator? A mass comparator or comparator balance is a balance with best possible resolution and repeatability allowing determining even the smallest difference is mass. While window-range mass comparators are purely used for mass calibration and mass determination, full-range mass comparators are versatile and can be used for weight determination but as well for general weighing applications where small samples meet large tare loads or the large and small amounts need to be combined in one weighing process. Contact your local METTLER TOLEDO representative to receive a GWP Recommendation identifying the models suiting your personal needs. 2. What makes mass calibration so different? In a regular weighing process, the balanced is calibrated and the individual weighing are against zero g, therefore the process is called "absolute weighing". With weight calibration, which is a specific type of differential weighing, the reference point is not the calibrated comparator balance; it's the reference weight against which the test weight is compared to. Reference weight need to be at least one weight class higher than the test weight. Each of the reference weights is again calibrated against another weight of higher class resulting to a traceability to the national prototype and finally to the International Prototype of the kilogram at the BIPM in Paris, France. 3. What applications are comparators used for? 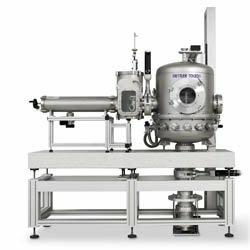 The primary applications where mass comparators are used for is mass calibration. For lower class weights, in particular M 1-3, F1 & 2 classes, manual mass comparators provide results of sufficient accuracy. For weights of E1 or E2 class it is recommended to use either robotic or automated mass comparators as the measurement uncertainty is significantly lower, this mainly due to the obsolescence of the operators influence. In national metrology institutes (NMI's), which strive continuously for measurements with smallest uncertainty, vacuum or constant pressure mass comparators are utilized as these allow performing measurements at constant conditions. Influences such as geographic altitude, air buoyancy or weather conditions can be eliminated. National metrology institutes and metrology research center apply mass comparators for scientific research to measure smallest changes in mass or force. 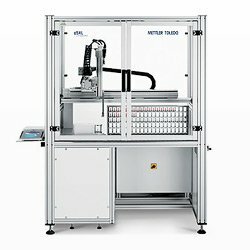 Besides the metrology application mass comparator are as well in use in other industries where the performance of a regular balance cannot meet the customer demand. For these applications the comparators are referred to as higher performance balances. 4. What is the difference between a mass comparator and a balance? Mass Comparators are of identical design and principle as an electronic balance. What differentiates the balance to the comparator is the performance, in particular the readability and repeatability. Regular laboratory balances are specified by the main properties repeatability (RP), eccentricity (EC), nonlinearity (NL) and sensitivity (SE). 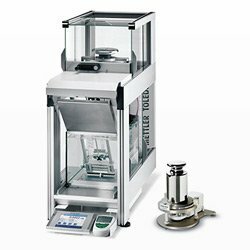 As weight calibration is subject of differential weighing mass comparators are additionally specified with differential weighing repeatability ABA (RP ABA). 5. How to calibrate a mass comparator? According to regulations, Mass Comparators in use for mass calibration do not need to be calibrated, as the reference weight is calibrated and ensures for traceability to the BIPM and the definition of the kilogram. To protect your investment and ensure continuous constant measurement performance, METTLER TOELDO recommends performing preventive maintenance on a routine base. 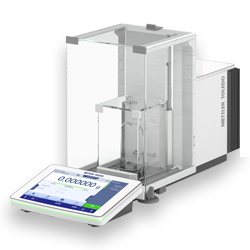 Where mass comparators are in use in applications different than weight calibration, it is crucial to apply existing quality standards on the XPR-C balances, identical to other analytical or precision balances. The world renowned Vacuum Comparators with nanogram resolution are the reference in mass determination and in use in national metrology institutes. Our versatile Automated Mass Comparators perform measurements automatically, resulting in extraordinary resolution and incomparable repeatability. Simple and reliable solutions for volume, density and magnetism determination - meeting the highest requirements of National Metrology Institutes. The combination of a highly ergonomic user interface with the menu-guided mass determination software simplifies and improves every operator’s work. A complete package of Comparators and Software - ComparatorPac™ is the ideal starter solution for simple weight calibration up to 20 kg OIML F2. 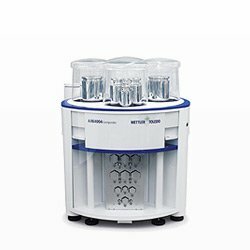 The Comparator Balance Catalog provides a overview of all METTLER TOLEDO Comparators. Comparator blances allow to determine smallest differences in mass at highest resolution and repeatability. Beside entry-level manual solution, our innovative product portfolio covers automated or robotic soltuions, all trimmed to improve measurement quality and productivity. 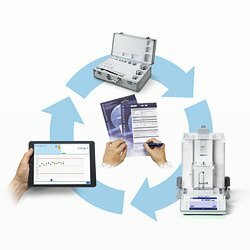 METTLER TOLEDO provides with every manual mass comparator a software solution offering efficient weight calibration workflows, generating at a keystroke secure and traceable data, printed to a calibration certificate. Shorter process times boost productivity by up to 40%. Innovative features such as managing customers, weights and weight sets, weighing methods, uncertainty analysis and the one-click certificate printing significantly improve efficiency in your day-to-day work. Established calibration laboratories may have various comparators, which are in use on a daily basis to calibrate customer weights. With increasing market requirements and the need to calibrate weights of higher classes, the risk of hidden uncertainties increases by using a system built up over years. By using our equipment qualification service CalibCap, you will receive an overall uncertainty analysis of your currently installed comparators compared with regulatory requirements, and an indication as to whether the achieved uncertainties comply with accuracy requirements. All calculations follow the OIML R111 uncertainty analysis recommendation and are based on the technical specifications of actual and former comparators.